PRC website hacked by M3RC3N@R!3S - Balita Boss! The official website of the Professional Regulation Commission (PRC) was hacked. As of today, April 24, 2018 (6:10 PM), the message of the hacker is still appearing on the site. While we are looking for exam results, we found the hacked page. Based on the message posted on the site, it was hacked by an attacker known as M3RC3N@R!3S. It can be recalled that the PRC website was hacked in 2009. 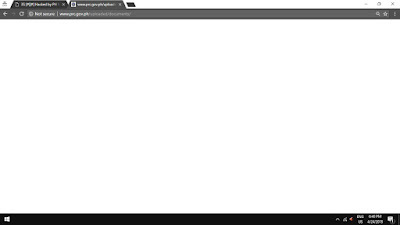 As of 6:40 PM, it seems the hacked page has been removed.